View of Tatsumi turret and buildings on Marunouchi district. Tatsumi turret is a two storied turret of former Edo castle. 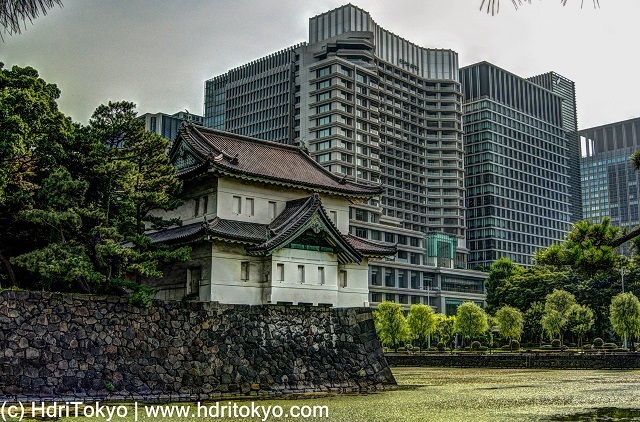 That building behind the turret is Palace Hotel Tokyo that is a luxury hotel newly rebuilt in 2012.